OLD PARKED CARS. 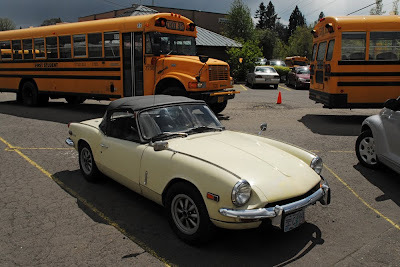 : 1968 Triumph Spitfire. She's a beauty! 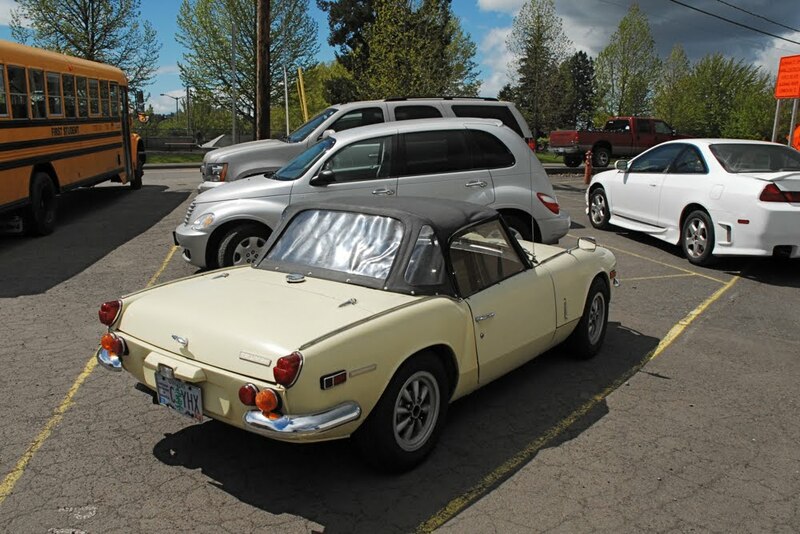 You can really tell how much the later nanny bumpers make a difference in this style of car. Wow.....a school kid with a taste for the classics? Nice bit of kit indeed. 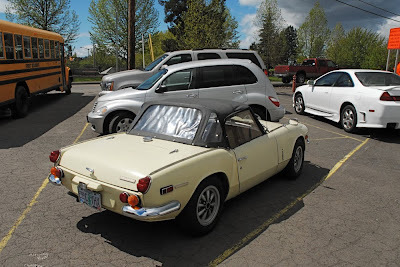 These earlier cars do look much better with multiple taillights and minimal bumpers. as a general rule, old british roadsters are overcelebrated and overvalued, in my opinion. but these are the best three photos ever posted to the blog. Tony, why do you think that? What is wrong with them? This is my favorite generation of Spitfire, in my favorite color. The front redesign made the Spitfire look less outdated, but they kept the better looking rear tail lights. It also had the bigger 1296 cc engine, which was a bored out version of the 1147. 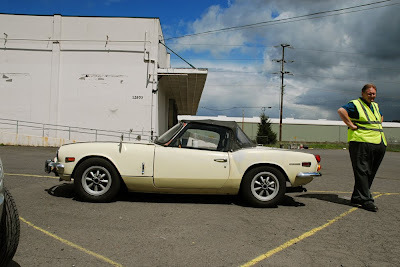 The good design and the bigger engine combined made for a much more pleasant experience Way better than the smogged-out MGB, IMHO. They all seemed to be this color.